When I was in college, I really wanted to be a tour guide. I was probably the only person on campus that didn’t think those people walking backwards chatting about the origins of Mirror Lake were strange. Unfortunately, I made it through 3 rounds of tour guide interviews and then didn’t make the cut. Nevertheless, to this day, I still love giving tours! It’s so fun to be able to show someone you love a place you love and everything you enjoy about it. Lucky for me, I live in the best city for touring and this weekend I get to spend 3 amazing days with the best visitors – my mom and dad! Hopefully we’ll have nice walking weather! 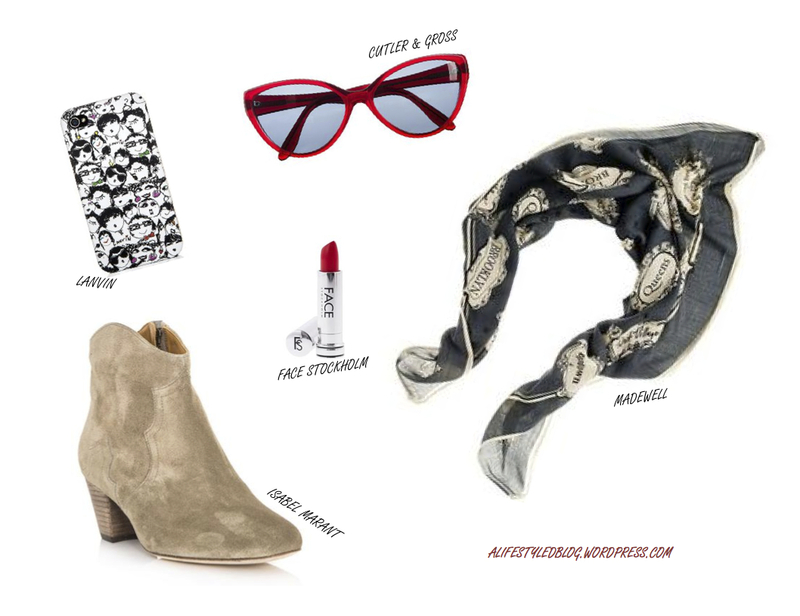 Here are some accessories that would be perfect for touring NY on a cold day! I especially love that scarf with the names of the different boroughs/neighborhoods on it. It’s my chic version of an ‘I heart NY’ t shirt. And the Lanvin iPhone case…those little sketches of Alber are killing me! So adorable. Ali girl this is so awesome! I bet you had a wonderful time with your parents! We all know you were the best Buckeye tour guide duh! You always did give the best unofficial tours to possible up and coming buckeyes 🙂 love this post..can’t wait to hear all about how the visit went! We will miss you, Meg! My packing is not going well….don’t think it’s going to be a “carry-on” trip……need to break this to Dad. I LOVE New York! I love that scarf! Wish I was coming to see you this weekend!! !